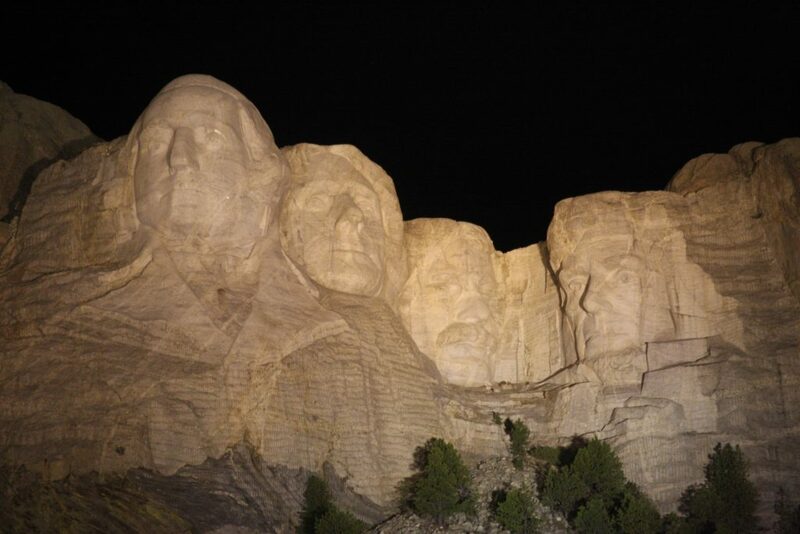 Visiting Mount Rushmore is one of those moments you won’t soon forget! From the walk through the flags of our nation to realizing just how big and grand Mount Rushmore truly is. We are excited to share our Mount Rushmore National Memorial Travel Tips to help you have the best visit possible to the park. 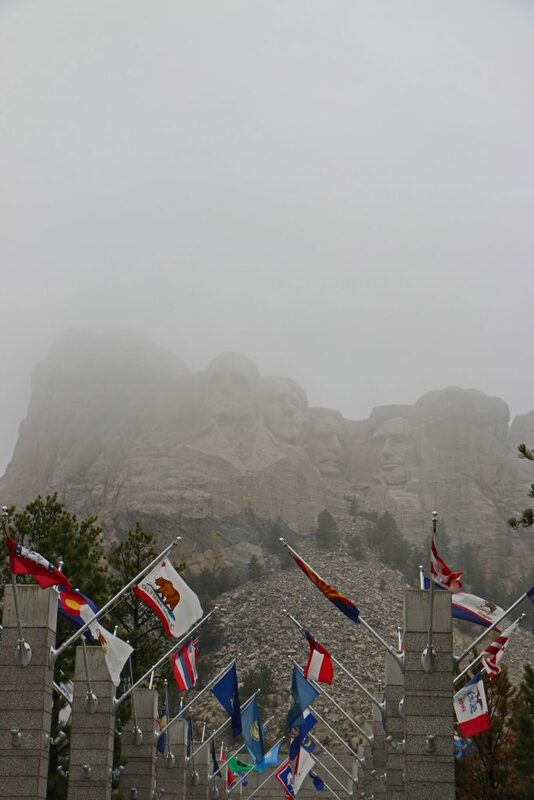 Make sure and check the Mount Rushmore National Park page to check current hours and conditions. 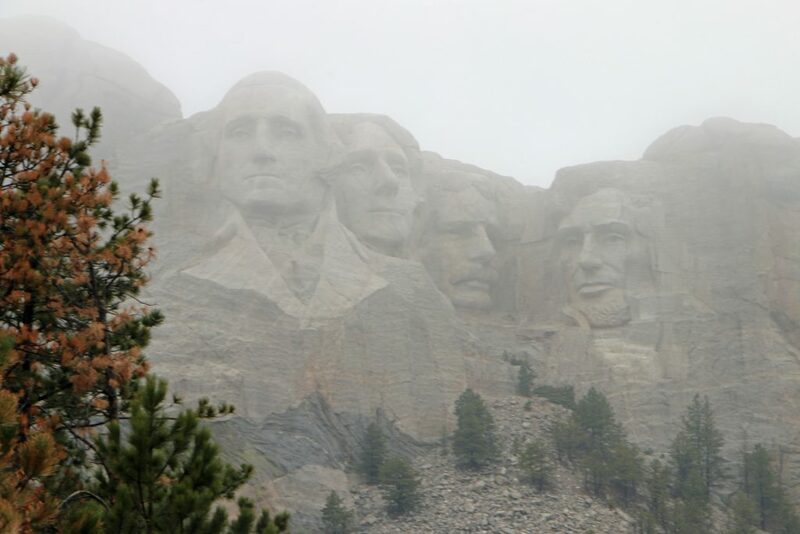 Drones are not allowed to be flown in Mount Rushmore National Memorial. Be prepared for crowds during the summer months. Nearly 3 million people visit Mount Rushmore a year with the busiest months being June, July, and August. The Presidential Trail has 422 stairs and is .6 miles long. Be prepared with comfortable shoes. Give yourself extra time in to visit Mount Rushmore. During our last trip, we spent hours at the park and barely saw the carvings. It was so foggy that the mountain was hidden up until the point we had to leave due to our schedule. We were so sad not to have a few extra hours built in so we could wait out the weather. Brochures are available in German, Spanish, Japanese, French, Italian, and Dutch. You can download the current park newsletter online here before your trip. This is a great way to plan your trip ahead of time and know what is happening in the park. You can rent a Mount Rushmore Audio Tour for $5 while at the park. The audio tour is available in the summer at the Audio Tour Building and in the winter at the Information Center. The audio tour is available in English, German, Spanish, French, and Lakota. The audio tour includes narration, music and historic recordings. What presidents carved into Mount Rushmore? How much does it cost to visit Mount Rushmore National Memorial? Parking fees may be paid with cash, traveler’s check, or with Visa or Mastercard. Parking for vehicles pulling trailers or extra long vehicles is extremely limited. Parking passes are good for a year so hold onto your pass in case you plan to return or run into bad weather so you have it when you head back to Mount Rushmore. The parking structure and memorial grounds are open 5:00 a.m. to 11:00 p.m.
Information Center and Lincoln Borglum Visitor Center are open 8:00 a.m. to 5:00 p.m.
Carvers’ Marketplace is open 8:00 a.m. to 5:00 p.m. Gift Shop is open 8:00 a.m. to 9:00 p.m.
Mount Rushmore illumination starts at sunset to 11:00 p.m.
Plan to arrive at the illumination ceremony early especially if you do not want to sit near the stage and have to climb all of the stairs back up. How do I get to Mount Rushmore National Memorial? 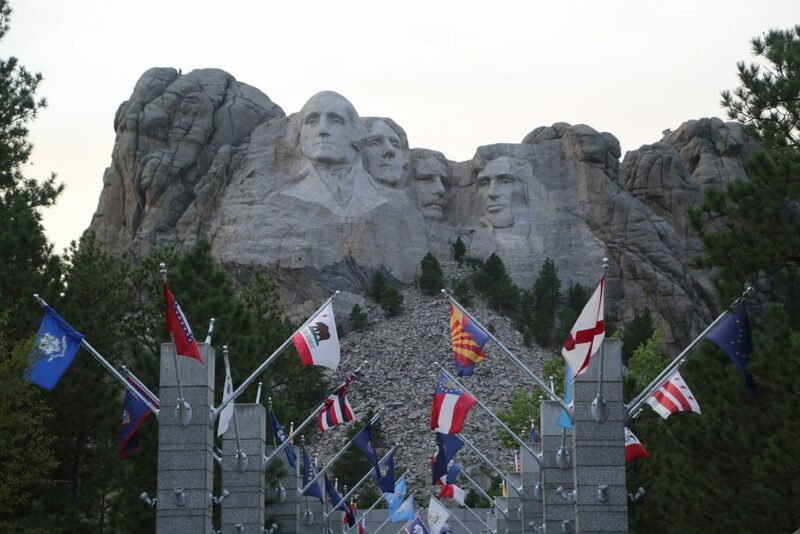 From I-90 exit at Rapid City and follow U.S. Highway 16 southwest to Keystone and then Highway 244 to Mount Rushmore. Visitors coming from the south should follow Highway 385 north to Highway 244, which is the road leading to the memorial. Train service – There is no train service available to the park. Where are the Mount Rushmore National Memorial Visitor Centers? Information Center – Located near the parking structure. There is a sign near the entrance providing the daily schedule of events. There are Park Rangers available to answer questions along with a bookstore for souvenirs. This building houses two theaters, a museum, and a Mount Rushmore Bookstore. The film, “Mount Rushmore, The Shrine,” is shown every 20 minutes in each theater. The museum exhibits tell the story of Gutzon Borglum, the creation of Mount Rushmore and the workers who helped. Where can I find out about staying/camping in Mount Rushmore National Memorial? There is no lodging or camping at Mount Rushmore, but there are many places close by. Tammilee wrote about our stay at the Mount Rushmore KOA on her blog Tammilee Tips. Is there a Junior Ranger Program at Mount Rushmore National Memorial? Yes, Mount Rushmore offers a couple of different Junior Ranger programs. We have done 100+ Junior Ranger programs and the Mount Rushmore Junior Ranger program for ages 13 and up is one of the hardest we have ever done. We honestly had to use Google to help finish the program. They checked line by line when we turned it in at the visitor center. This is a program you want to plan time to finish. Junior Ranger Activity Book: For children ages 5-12. 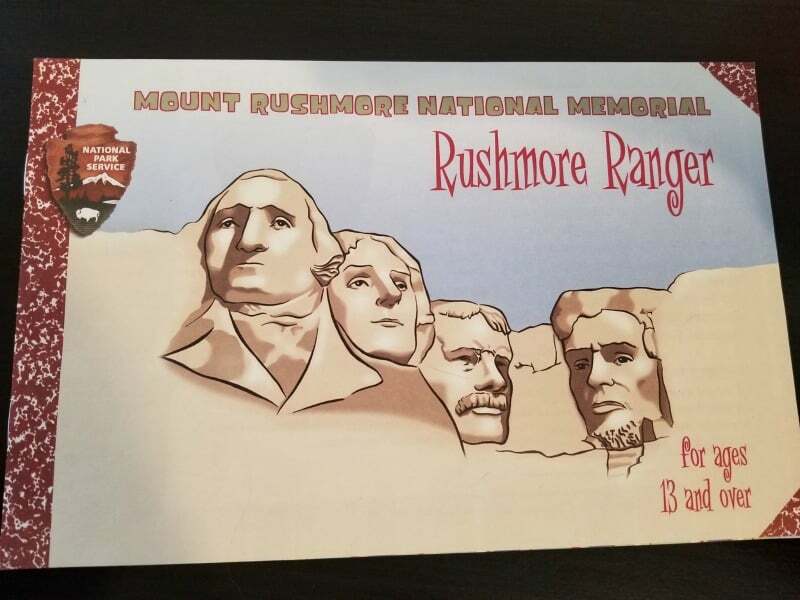 Rushmore Ranger Activity Booklet: For ages 13 and up. There are no fees to participate in any of these programs. 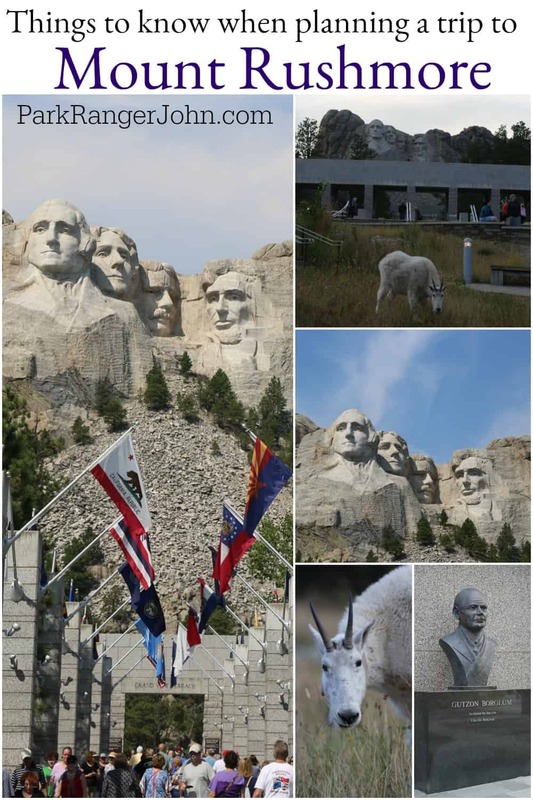 Can I bring my Dog/Pet with me to Mount Rushmore National Memorial? Pets on a leash (no longer than six feet) are permitted only in the parking garages and the areas adjacent to them. 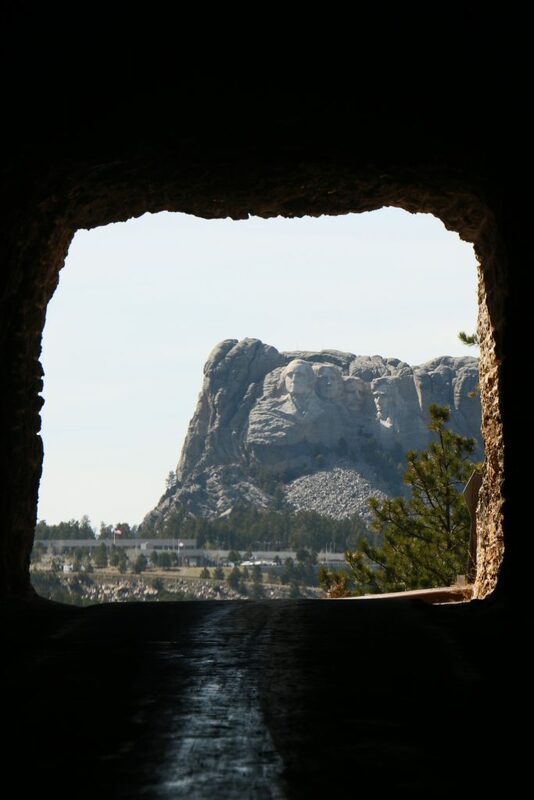 There are kennels near Mount Rushmore in Custer and Rapid City. ATM – There is an atm located in the Carvers Cafe next to the restrooms. Mail – You can mail a letter/postcards from the post office box in the food area. Make sure to fill up with gas before exploring the Black Hills. Gas stations are located in local communities. The National Park website for Mount Rushmore can be found here. One great piece of advice is that your parking pass is good for a year. When we went it was super cloudy on the day we visited. However the next day when we were driving by as we headed out of town it was clear sky and sunny. We used our parking pass and went in to snap a few pictures.